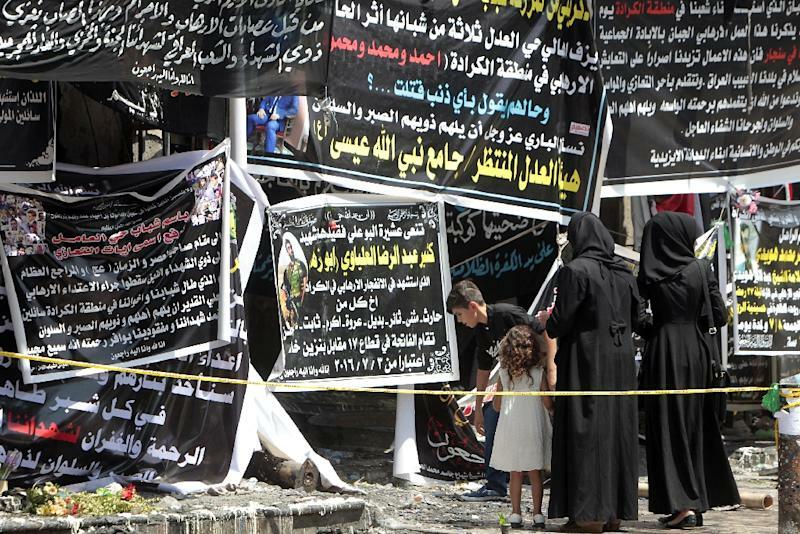 Baghdad (AFP) - A suicide bombing claimed by the Islamic State group killed at least 15 people in a Shiite area of northern Baghdad on Sunday, security and medical officials said. The bombing, which struck near a checkpoint in the Kadhimiyah area, home to a major Shiite shrine, also wounded at least 29 people, the officials said. IS issued a statement claiming the attack, saying it targeted soldiers and pro-government paramilitaries in the area. The jihadist group frequently carries out attacks on security forces, and also often targets members of Iraq's Shiite Muslim majority, whom it considers heretics. An IS suicide bomber struck shoppers in Baghdad's central Karrada district earlier this month, killing 292 people. The group also claimed an attack on a Shiite shrine in Balad, north of the capital, that left 40 dead a few days later.